Prime Minister Voreqe Bainimarama left Fiji today for the Solomon Islands to attend the Pacific Islands Development Forum Leaders’ Summit. 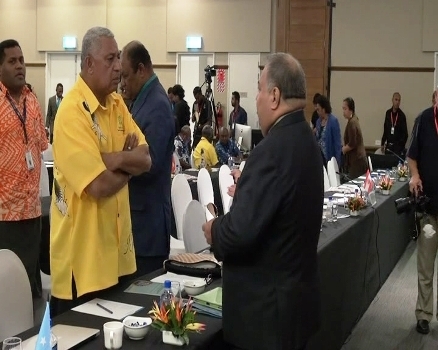 This is the first time the forum is being held outside Fiji and the first time for the Solomon Islands Government to host the PIDF since joining the organisation last year. Discussions at the summit will include the Suva Declaration for Climate Change, Climate resilience and follow-up on the Paris agreement in preparation for COP22. This year, the theme of the Summit will be “Stewardship for Healthy Oceans and Healthy Nations”. It will also include a special session on the Blue Economy to initiate the Pacific Islands leaders’ preparation for the First Triennial UN Conference on Oceans and Seas to be held in Fiji in June 2017. The two day PIDF summit begins tomorrow.